STEM is a program that introduces girls to the art of computer programming. We are partnering with organisations to teach girls computer programming skills and link them to employment agencies. 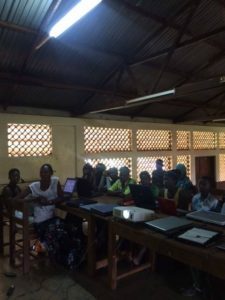 There are numerous intervention programs to increase the number of girls in learning the art of computer programing, design websites and apps, at Mweva we have been for the last few years working with Tubalera Vocational Training Centre to teach disabled girls to become eCommerce developers. In 2018, we will start a new program to teach girls to become programmers, the aim is to teach girls from disadvantaged communities to code Procedure and Object Oriented Programming. This program will see more girls enter into the world of software development as there is a need to increase girls to learn computer coding skills. This program supplements our eCommerce course to the disabled girls.